Funds raised from this gofundme will be directed to the construction of a much needed additional Safe House, protecting girls from sexual purpose engagement (beading), traditional circumcision and forced child marriage. On Saturday April 13, there was a benefit concert at the Della Herman Theatre in Smithers, BC that raised $4500 CDN. We are currently pursuing matching donations via corporate sponsors. $20,000 CDN is presently our target to cover facility construction. 100% of the donations go directly to construction materials and on-site construction labour; all other costs are in-kind (volunteered) donations. 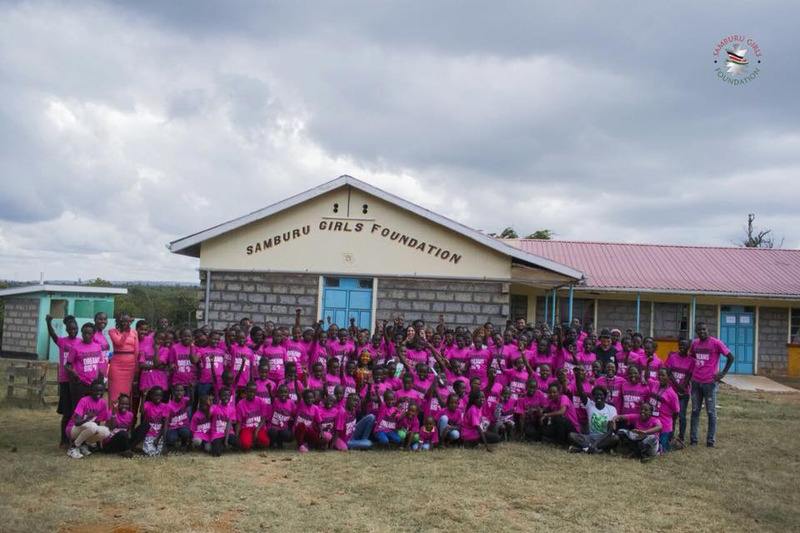 Samburu Girls Foundation (SGF) is a Kenyan non-profit organization whose primary work is to rescue girls from child-marriage, beading and FGM. To date, over 1183 girls have been rescued and 326 are currently being sponsored in schools around the country. The organization was registered as an NGO in October 2011. Its head office is based at Loosuk Center, Samburu County and works closely with 3 more counties namely, Marsabit, Laikipia and Isiolo. Founded by Josephine Kulea, the organization saves lives and prevents trauma by advocating against Harmful Cultural Practices, and by empowering the girl-child to determine their own destiny through schooling, sponsored activities and mentoring.